You’ve heard it a thousand times: write what you know. At face value, it is probably the number one worst piece of writing advice there is. Obviously, if authors only wrote what they knew, most books would never get written. J.K. Rowling didn’t know anything about Hogwarts when she was inspired to write HARRY POTTER AND THE SORCERER’S STONE. 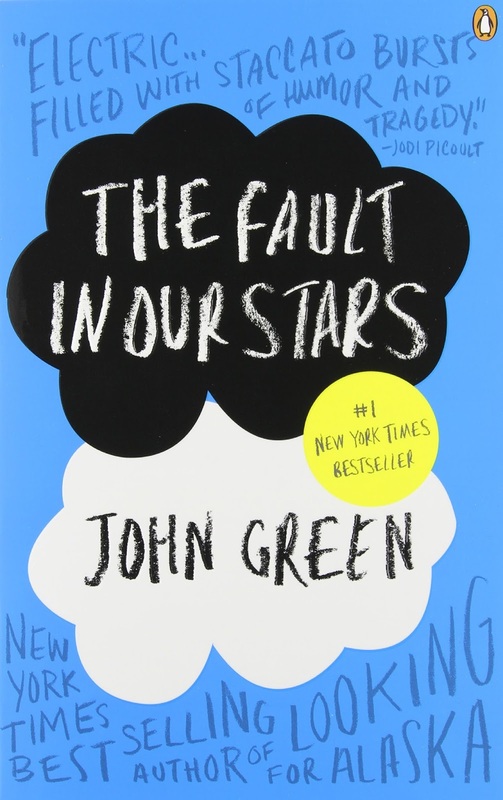 John Green didn’t know a lot about cancer when he decided to write THE FAULT IN OUR STARS. Rowling planned and imagined her way to expertise about her magical world, and John Green throughly researched pediatric cancer until he felt ready to write about Hazel Grace and Augustus Waters. However, there’s another way to look at the saying, write what you know. At its foundation, a story is about a character’s emotional journey. If your character does not feel, your readers will have no reason to care about your story. The Harry Potter series is about friendship, family and love - every emotion Harry needed in order to gain the mental strength he’d need to face the ultimate sacrifice in book seven. THE FAULT IN OUR STARS is about the belief that it's a good life, despite the betrayal of the body (terminal illness). Both authors had experienced love, loss, fear, and joy in their lives and those emotions were put onto the pages of their books - giving their novels depth and authenticity. The pale seeds sifted through his fingers like yellowed rice. He’d already attached the toolbar to the tractor. All he had to do was fill the tender with the seeds and soon, the field would be covered tiny green seedlings. Super dull, right? There is no reason to care about what the farmer is doing. Now, consider a similar scene that includes emotion. He stared at the dark, rolling earth as the seeds sifted through his fingers. They gave off a strong chemical odor. "That's the smell of success," he thought. "And safety." He knew his father was probably cursing him from the grave, but even that couldn’t wipe the grin off of his face. This was his land now, and in his bare hand he finally held the engineered seeds everyone was talking about - the seeds of the future. I know almost nothing about farming, but I do know what it feels like to break from tradition. That was all I needed to make this passage work. After all, people don’t read fiction to learn facts, they read fiction to feel. Take some time to journal about the most important and memorable moments of your life. How did you physically respond to the strong emotions you felt? Were you mad enough to actually see red? Or so moved, you felt like you might faint with joy? Do you remember the emotional roller coaster of having to fight for something? Whether it was a better grade, or to get your own place to live, or to learn a complicated dance, it was a long struggle with a lot of ups and downs. These are the experiences you draw from when you write. So write what you know, because you have a lot of life experience to lend to your characters. Nice example. And helpful to me right now, in fact. Thanks.